It has been necessary in my PhD research to track my participants’ ‘off-radar’ social media activities. This is the term I use to describe any active contribution to sites that I am not routinely observing – such as commenting on a blog I am not following. My participants took on the responsibility of reporting such activities, and some found it useful to use Evernote. Evernote is a private online annotation tool that enables the user to ‘grab’ specific content (such as a paragraph of text or an image) from web pages, and collect them on a personal site as ‘notes’ stored in folders called notebooks. 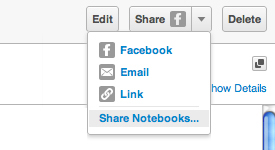 Evernote also enables users to set up confidential links through its shared notebooks facility. Not all my participants chose to use Evernote, preferring instead to keep a log or simply e-mail updates. But those that did generally found it a quick and unobtrusive method of self-reporting, and one participant adopted it into her everyday practice. Click the Create Account button, complete the Register for Evernote panel and follow instructions. Evernote is free for a monthly upload allowance of 60mb. Each participant will need to set up a notebook for all the content they specifically want to share with the researcher. 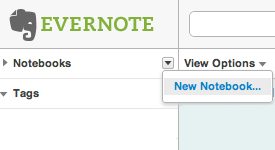 Once this is set up, participants can simply highlight any content on a web page and click the Evernote button. They do not need to have their Evernote site open at the time, but the next time they view it they will see the content has been added as a note. Some alternatives to Evernote can be found here. 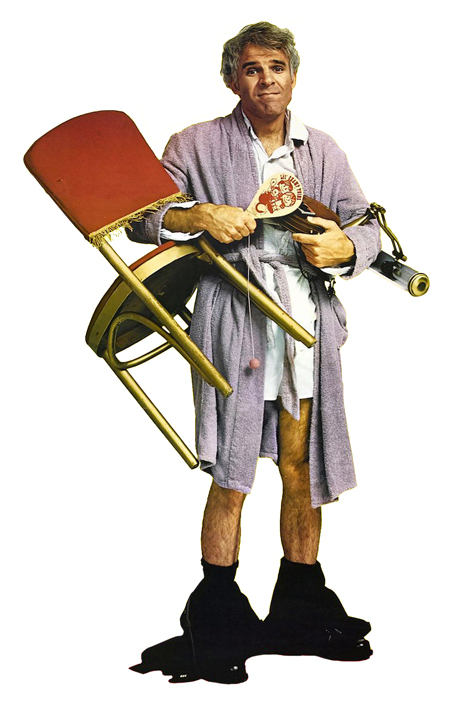 In a celebrated scene from The Jerk (1979), dim-witted Steve Martin – excited by a dog’s apparent ability to save lives – is rebuked by an aggrieved observer, who suggests he calls it something very different – which Martin proceeds to do for the remainder of the film, to comic effect. Similarly, it’s easy to get enthusiastic and passionate about a specific technology, sometimes to the point where it seems we cannot live without it. But it’s worth remembering that we draw on our own experiences, knowledge and culturally defined values to determine the affordances of technologies, and that our desire to share our excitement with others might not always be appreciated. Further Thoughts on Blogging Profs. Following my previous post on Professor Pat Thomson’s new blog, a few things have been nagging at me in terms of the wider context of professorial blogging and the nature of influence in social media practices across academic hierarchies. It is reasonable to assume that professors who choose to blog play a role in inspiring early researchers within their disciplines to do the same, but does this necessarily lead to adoption? If I see a professor presenting at a research conference, I might be inspired, but I may not be eager to jump up there and do the same. We might reasonably assume that senior academic bloggers are highly knowledgeable, confident and articulate, with a rich portfolio of research and experience to draw on, and an ability to attract a critical mass of fellow academics. However, whilst they may inform and inspire, might the apparent maturity, assuredness and gravitas of their blogging practices actually deter early researchers from blogging themselves? Of course, we should not necessarily assume that senior academics have the experiences and competencies of using blogging platforms. They may be new adopters to social media generally, and cautious of the potential implications to their own professional identities and reputations. But we cannot realistically expect these busy academics to spend any amount of time on informal online dissemination without good reason. I’ve written before on the multiple purposes of blogging (that are often interrelated in complex ways), and there is no reason why a professor should be any different. For some it may be no more than a minor box-ticking exercise in demonstrating research impact, an online platform for self-promotion, or a resources dump. Others may seek to develop more dynamic, discursive and reflective blogging environments, which invite debate, engage with their current practice and research, and demonstrate a willingness to share ideas and expose their own inconsistencies, doubts and challenges. Which of these are the most likely to influence and affect social media practice in their field? Pat Thomson, Professor of Education at the University of Nottingham, has just launched a new blog with a batch of interesting posts. Having attended a number of her tough but highly effective sessions on academic writing in the School of Education, I am particularly familiar with her post on Swales and Feak’s exercises in skeleton writing. Her book with Barbara Kamler, Helping Doctoral Students Write: Pedagogies for Supervision, has rightly become recognised as a key text (don’t be misled by the title – it’s just as useful for PhD students). The recently published Routledge Doctoral Companions (for students and supervisors), which she co-edited with colleague Melanie Walker, have also been indispensible in my own research. Of course, these represent only part of Pat’s research interests and experiences, so it will be interesting to see how she decides to develop the blog. As @PatParslow suggested in a subsequent Twitter discussion, professorial blogging is all too rare. Yet in my experience of talking with other PhD students, professors who do blog can be enormously influential (probably far more than they realise) in legitimising blogs as platforms for research dissemination, particularly in under-represented disciplines. During yesterday’s Doctoral Conference at the London Knowledge Lab, Martin Oliver, Neil Selwyn and Rebecca Eynon, editors of Learning, Media and Technology, presented a useful session on getting journal articles published. Here’s a summary of my notes. Present the key points from your conclusion in the abstract – don’t keep them as a surprise!